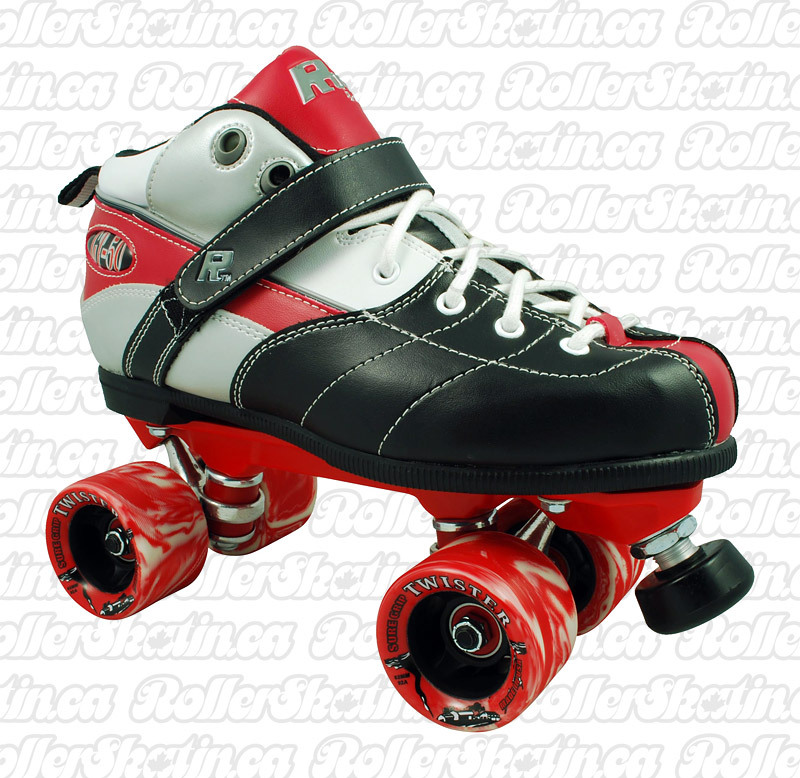 Sure-Grip Rock Expression Roller Skates! Great Looking entry level Recreational skate and good for Junior Roller Derby too! Add a Premium SkateTool Select Yes! +$10.50 No Thanks! 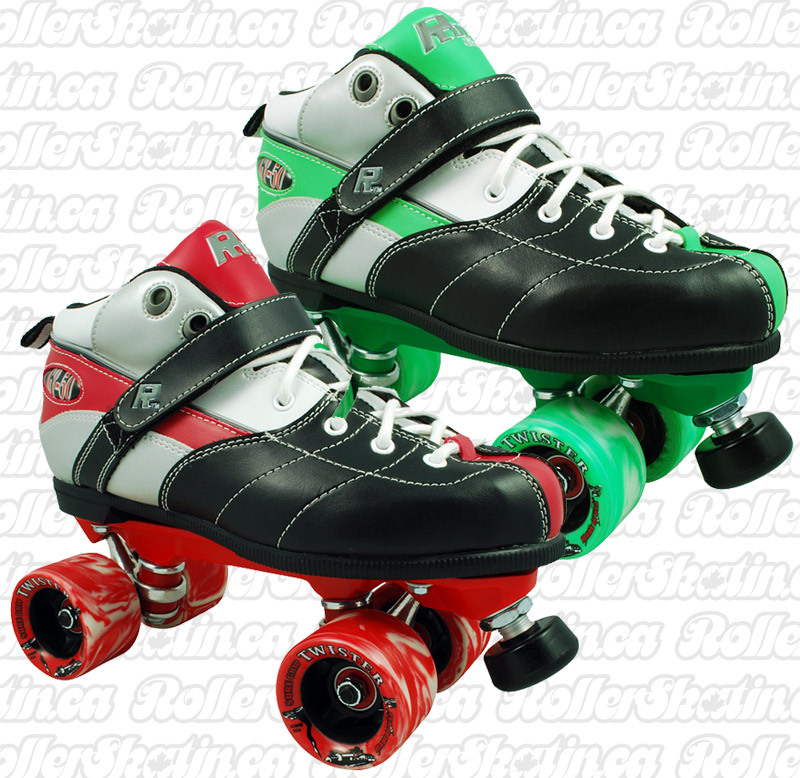 Sure-Grip Rock Expression Roller Skates! Great entry level Recreational skate and good for Junior Roller Derby too! Similar to the super popular Rock GT-50, The ROCK Expression made by Sure-Grip features a super comfortable synthetic boot which fits a bit wider to accommodate almost every foot! The ROCK Nylon plate is a superior plate chasis than most others in the entry level category and on the Expression skate its colour matched to the boot colours! Comes with Sure-Grip Twister indoor rink wheels 95A, ABEC -5 bearings, and Carrera 5/8" adjustable toe stop. See pull-down menu for size/colour availability. They are in Mens sizes – Ladies sizes choose one size down from your foot size (ie. Mens 7 = Ladies 8).